When San-e (Koo Hye-seon (구혜선) discovers that she is pregnant, what should be happy news sends her into a serious emotional breakdown despite her boyfriend Jin-woo’s (Lee Hae-woo (이해우) best efforts to comfort her. San-e’s newfound pregnancy forces her to revisit the trauma of her past, of living with an extremely strict, highly religious mother (Shim Hye-jin (심혜진) who controlled every facet of her young life and who violently punished her if she disobeyed the rules. As San-e remembers the emotional and physical anguish she endured as a young girl (Hyeon Seung-min (현승민) she also attempts to reconcile her issues in the present, for the sake of her unborn child and her own sanity. 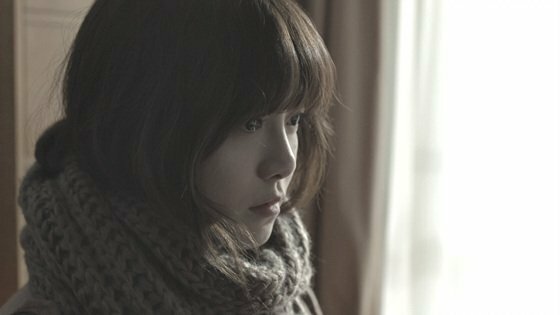 Daughter (다우더) is a powerful and emotionally charged drama of child abuse by writer/director/actress Koo Hye-seon, one that is acutely timely given the prominence of the issue in contemporary Korean society and media. 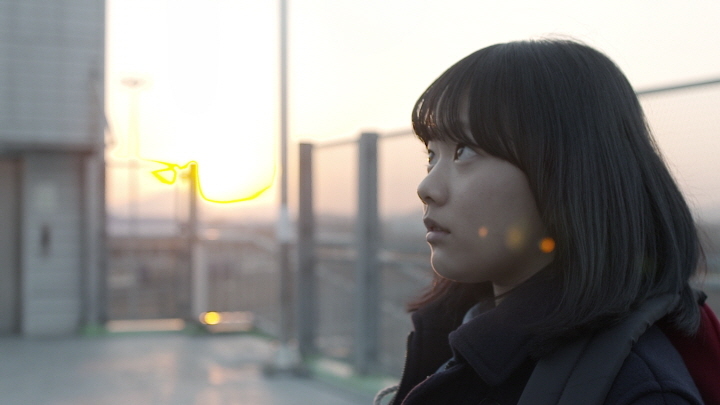 Daughter is a particularly impressive outing for director Koo who effectively juggles the non-linear narrative between San-e as she suffers horrific physical and emotion trauma as a youngster, with that of her as an adult coping with the psychological afflictions later in life, with both stories evolving with a palpable sincerity. Each area poignantly explores trauma from multiple angles, whether it be young San-e’s physical punishments for failing to be perfect on a test through to the psychological and emotional abuse she endures on a daily basis, while the ramifications of such an ordeal are more subtly conveyed through adult San-e’s fashion and demeanor. Director Koo also employs particularly effective use of colour, focus and lighting in portraying San-e’s complex psychological states that add a tragic beauty to her story, depicting a potent portrayal of a vulnerable yet strong young woman scared of motherhood. Yet Daughter is also a keen examination of the complex emotions involved in having an overbearing mother. While the devoutly religious mother is controlling, abusive, and vicious – as well as clearly psychologically deranged – there is the constant sense that she is misguidedly attempting to perform her motherly duties in the best manner she can. Indeed, the film is bookended by a poem that simultaneously declares the love/hate relationship felt with mothers in that there is an appreciation for her sacrifices and an emotional need for her love, yet it is one plagued by frustration and anger. Such sensibilities are acutely Korean in nature, and are transposed on screen as adult San-e reluctantly attempts to achieve a reconciliation that she knows will never come. Such scenes however are puzzlingly fleeting, as at a rather short 84 minutes long the film would certainly have benefitted from greater exploration of this key issue. Ultimately, such a criticism also leads to the film’s greatest flaw. While Daughter is a poignant and effective drama, the short running time focuses more on the dramatic events in young San-e’s life at the expense of more subtle, character-driven moments, and as such audiences empathise with her situation more through pity than anything else. This also applies with adult San-e, as while her character is conveyed well through the mise-en-scene key moments in her evolution as a victim of abuse and as a pregnant woman are curiously absent. With the quite brief running time of 84 minutes there is certainly more room for such character examinations and development which, if included, would have undoubtedly elevated Daughter into the upper echelons of the genre. Daughter is an impressive and emotionally charged drama by writer/director/actress Koo Hye-seon. In focusing on the timely issues of child abuse through a non-linear narrative, director Koo explores the physical, psychological and emotional trauma from multiple angles with poignant sincerity, as well as examining the love/hate relationship with strict, overbearing mothers. At a brief running time of 84 minutes the film would have benefitted from more subtle, character driven moments, yet Daughter is nevertheless a powerful tribute to victims of domestic abuse.